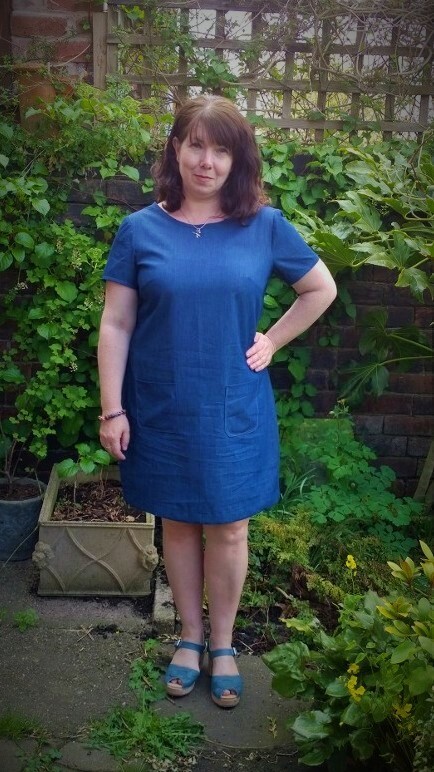 I have been meaning to make a simple denim shift dress for ages. 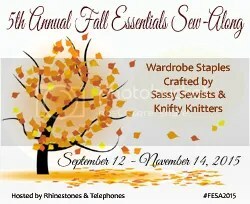 I keep coming back to the pictures on my Pinterest sewing inspiration board but never quite getting around to doing it. I think the main reason is not having the denim available at my local fabric store. If I’m relying on the internet it’s very difficult to gauge the weight and colour, and there was a specific weight and colour I was after. So when I went to the Leeds meet up, denim was at the top of my shopping list. It was actually the first fabric I came to and bought, I thought the quest might be a bit more difficult but it was just sitting there on the bolt waiting for me. 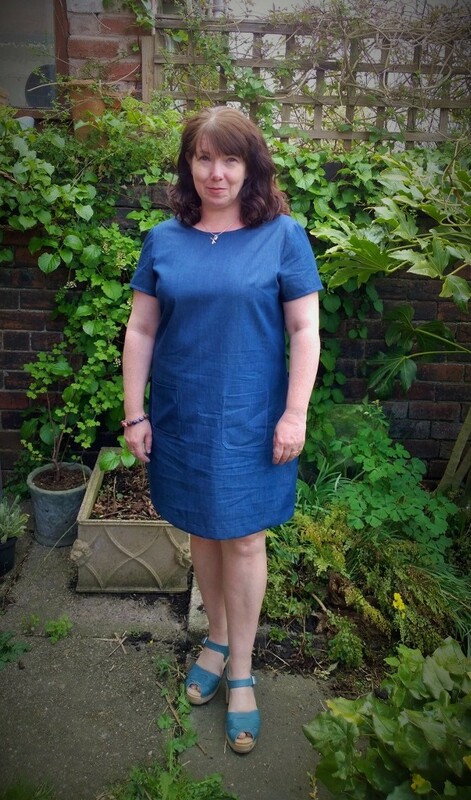 I used the Colette Laurel pattern which is quite a good basic shift dress. I’ve made it three times before, this was the most recent. 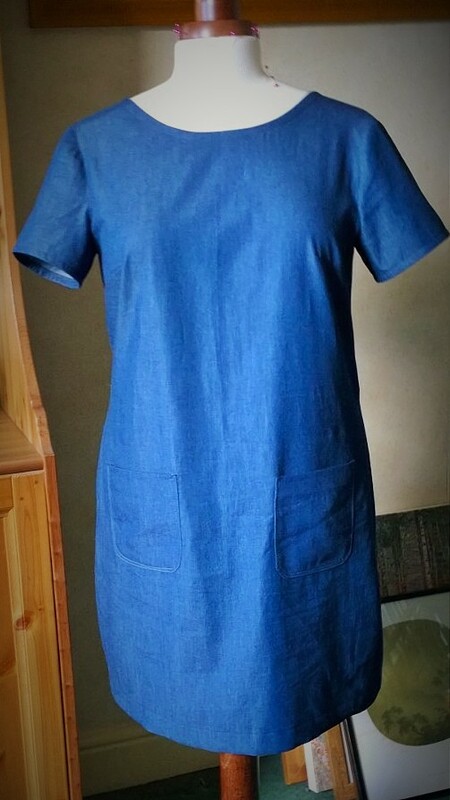 I cut a size 12 as before, added pockets and made them a little bigger. I also shortened the sleeves. 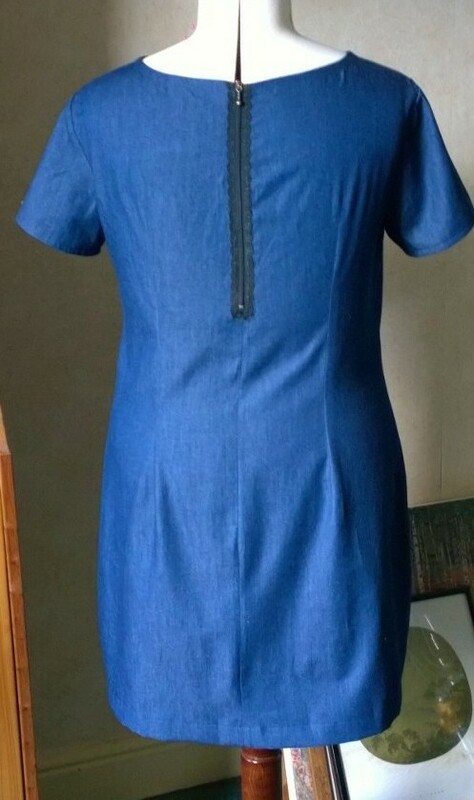 The pattern calls for a full zip down the back but with the ones I’ve made before I’ve been able to wriggle in and out without the zip. 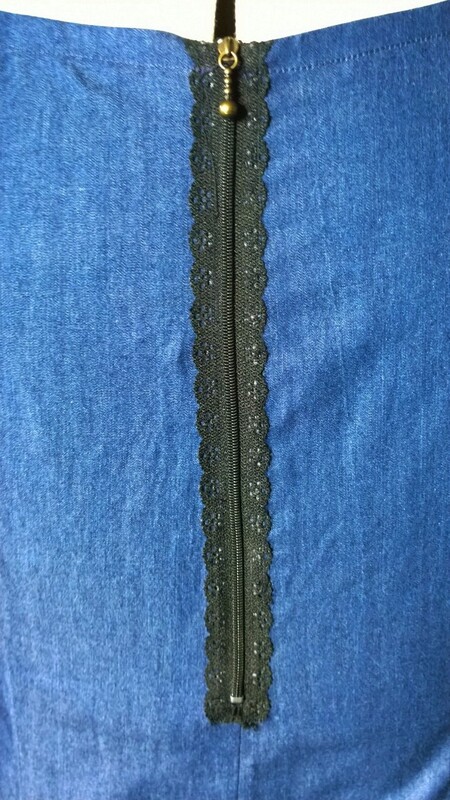 For this one though I wanted to add an exposed lace zip, I’ve had these in my stash for a while (from one of my late night Ebay trawls) but haven’t really encountered the right project for them. I figured the lace would be a good contrast to the utilitarian denim. I’ve been a bit unsure about exposed zips before but I’m beginning to come around to the idea. 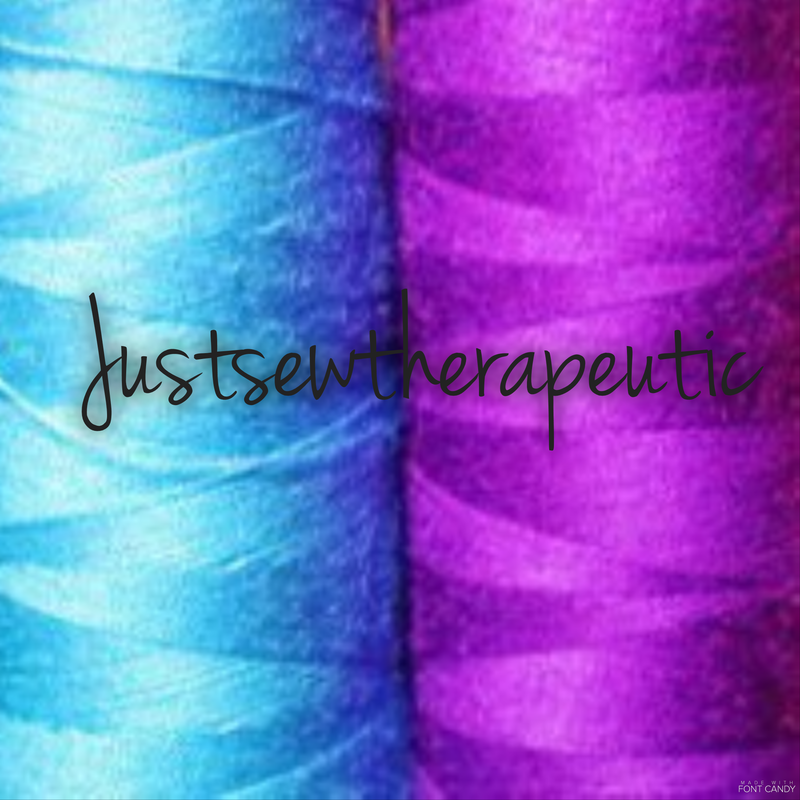 I’m glad I finally got around to making this and I’m pleased with how it’s turned out. It’s a very practical everyday dress, kind of like the dress equivalent of jeans yet without any encumbrance around the waist! The fit is not far off, I’ve put on weight since I last made it, this is most noticeable on the bust so maybe a full bust adjustment would have helped. My bust does goes up a cup with each dress size though, as I’m losing a little bit with all the increased activity at work they may shrink back down or maybe I should stop making excuses for my laziness and just do the FBA! 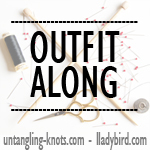 It’s nice to have ticked a long standing sewing wish off the never ending list. 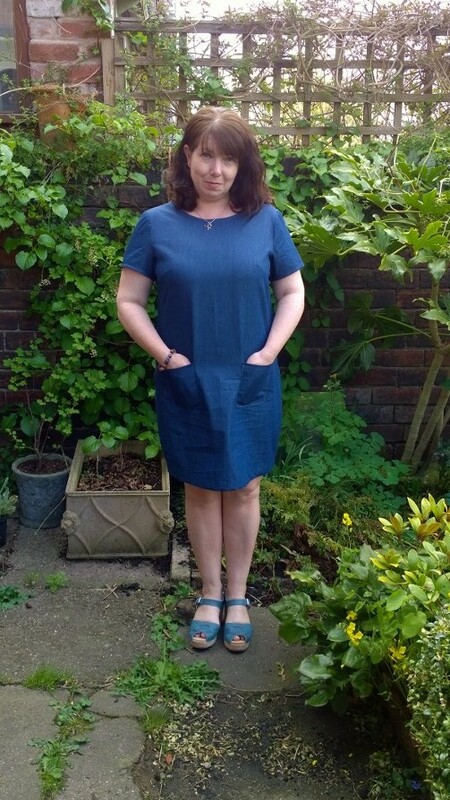 I’m in a bit of a summer blouse mood at the moment but there’s a shirt dress nagging me which is desperate to be brought to life, so I might have to put that plan into action next!